Each season, the Girls on the Run team at Vista View performs a community service project. The project is entirely decided upon, planned and executed by the girls, primarily during 3 of the team's practices after school. This Fall, the team of 19 Vista View students decided to focus on the homeless dogs and cats that are currently in foster homes awaiting adoption. Team members researched local adoption and foster agencies, made some calls, and ultimately choose to make dog and cat treats for Last Hope, a shelter for homeless animals that holds adoption days every Saturday at Burnsville Petco. 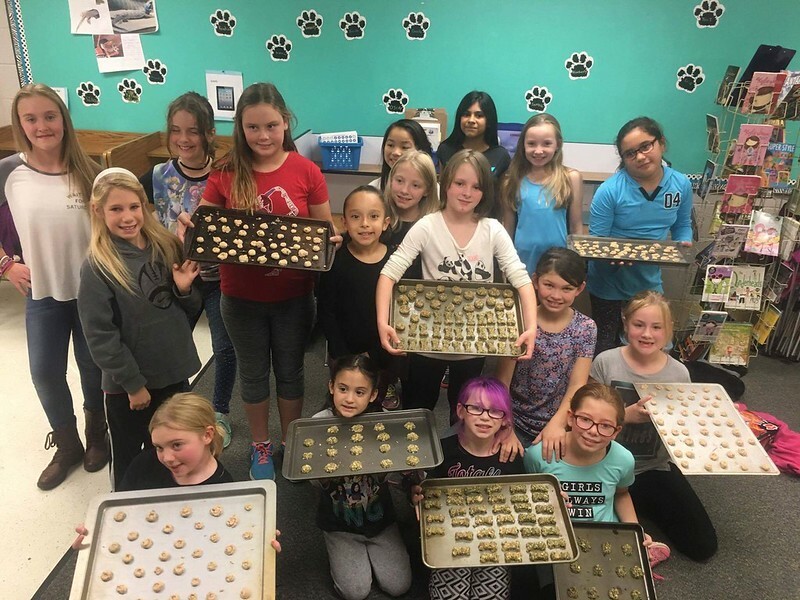 After looking over several recipes, the girls decided on one for cats and one for dogs and then wrote Facebook posts and made school announcements asking for ingredient donations. At their next practice, they organized themselves into assembly line teams and made treats. One of the coaches took the treats home to be baked and bagged. The girls were able to deliver the treats directly to the animals and their foster families after the final 5K race. Congratulations to the girls on a successful effort and for showing community pride and compassion!